"These agreements cover large geographic markets and, importantly, dovetail with our profit improvement plan by significantly reducing product styles for our design team and supply chain." HUNTINGTON BEACH, Calif. -- (BUSINESS WIRE) -- Jul. 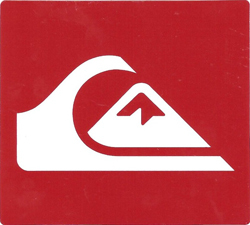 10, 2014 -- Quiksilver, Inc. (NYSE: ZQK) today announced that it has entered into licensing agreements for several product categories, including Roxy young girls and children's apparel, watches and socks/legwear, as well as other product categories including luggage, beach towels and surfboards. "Our product licensing team has done an excellent job of partnering with industry leaders that have the size, scale and expertise to help us grow these businesses," said Andy Mooney, chief executive officer of Quiksilver, Inc. "These agreements cover large geographic markets and, importantly, dovetail with our profit improvement plan by significantly reducing product styles for our design team and supply chain. We expect our license agreements to lower operating costs and inventory levels." The company signed an exclusive agreement with Parigi Group, Ltd., for Roxy young girls and children's apparel. Parigi will design, manufacture and market apparel, sizes newborn/infant to girl 16, for the Roxy brand beginning with the Spring and Summer 2015 season. The initial territories covered in the agreement include the United States, Canada and Puerto Rico, as well as a number of Central and South American countries. The company signed an exclusive, global licensing agreement with E. Gluck Corporation (EGC) for watches under the Quiksilver, Roxy and DC brands. EGC will be responsible for all design, production and sales beginning in the Fall of 2015. For luggage, backpacks and bags, the company signed an agreement with Travel Plus International, LLC. Travel Plus will begin designing, manufacturing and marketing products for the Quiksilver, Roxy and DC brands for the Fall 2015 season. Territories covered in the agreement include the United States, Canada and Puerto Rico, as well as a number of Central and South American countries. For beach towels and beach related accessories, the company is working with The Northwest Company, LLC. Under the agreement, Northwest will design, manufacture and sell products for the Quiksilver, Roxy and DC brands beginning in Spring 2015, in territories that include the United States, Canada and Puerto Rico, as well as a number of countries in South and Central America. The company has partnered with SARL Euroglass and its affiliate Equity Bell to design, manufacture and distribute globally Quiksilver and Roxy brand surfboards, standup paddle boards and other surf accessories; and design and distribute Quiksilver brand cruiser, penny and longboard-style skateboards. All of the products covered in the above licensing agreements will continue to be available in Quiksilver retail stores and e-commerce sites. Founded in 1981, Parigi Group has established itself as the premier lifestyle apparel company in the Children's Industry, servicing all tiers of Department Stores, Specialty retailers & Athletic Specialty Stores in North America. Their portfolio of licensed brands include: Puma, Puma Ferrari, DKNY, Lucky Brand, Ferrari, Nicole Miller, Elie Tahari, Original Penguin, Perry Ellis, LRG, Paul Frank, Julius Jr & Baby Phat. In addition, Parigi owns & operates the Hartstrings Children's brand, retail operation & e-commerce businesses. The Hartstrings, Kitestrings & kc parker brands are available in better department stores & high-end specialty stores nationwide. To learn more about Parigi Group & Hartstrings, please visit www.parigigroup.com & www.hartstrings.com. Established in 1994, PS Brands, LLC, has become a leading global resource of Socks, Hosiery, Legwear and Pre Walkers to major retailers around the world. PS is known for its advanced sourcing, forward designs and competitive pricing. PS ships under their proprietary brands; Candy Girl®, Planet Sox® and Funky Socks®; as well as under licenses; Character: Disney, Nickelodeon, Sesame Street, Thomas the train, Hasbro: Fashion: Kensie, Esprit, Oilily, Mac + Jac, Ike Behar, Paul Miller®: Sport: Fila, Head, TapouT, Hind: Outdoor: Northwest Trails™ High Sierra and Swiss Life Nidecker. Contact: sales@planetsox.com - www.planetsox.com. E. Gluck Corporation (EGC) has been a leader in the watch industry for over 50 years. With headquarters in New York, EGC has built a strong international production and distribution network. EGC's manufacturing experience and global distribution capabilities provide the company with the ability to react efficiently to a fluid marketplace. The depth of the company's expertise in the watch industry is demonstrated through the wide range of product it brings to market both through its licensed brands and its proprietary brands, Armitron® and Sprout®. The Northwest Company is recognized as a leader in the home textile industry and is the number one throw manufacturer in the United States. They are a market-driven company producing innovative and exciting product for the most widely recognized brands in sports and entertainment. In addition, they carry a full line of their own Northwest Original designs. For over twenty years, The Northwest Company's reputation for quality and commitment to their retail partners has been without equal. Please visit www.thenorthwest.com to learn more. Travel Plus is a privately held bag and luggage manufacturer headquartered in Pasadena, CA. Its parent company XiangXing Group owns and operates the largest backpack, bag and luggage factory in China, and is a completely vertically integrated enterprise. They have partnered with and designed and manufactured for brands such as Adidas, Burton, Nike, New Era and North Face. Euroglass is one of the biggest surfing-related product manufacturers in the world, supplying distributors and retailers in Europe, APAC and the Americas. The company produces high quality products designed by surfers for surfers. The Euroglass product portfolio includes ranges of high quality performance surfboards, soft-boards, stand up paddles, traction pads, leashes, wax, surfboard bags and skateboards. Contacts: www.quiksilver-surfboards.com and info@euroglass90.com. NOTE: For further information about Quiksilver, Inc., please visit our website at www.quiksilverinc.com. We also invite you to explore our brand sites, www.quiksilver.com, www.roxy.com and www.dcshoes.com.